Pretty soon school concerts, birthday parties, and holidays will be here! I know I’m always looking for cute hairstyles that work for any occasion. 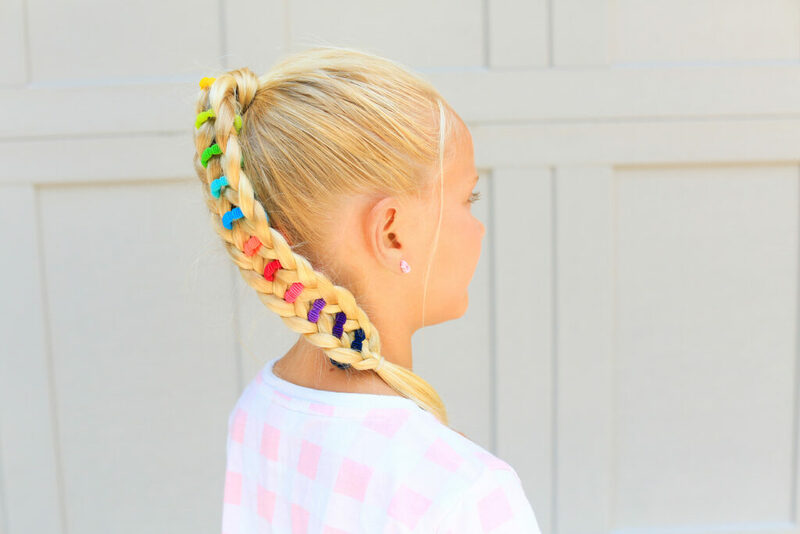 The #CGHBandedPonytail is a great look for the littles that is super easy to do and even perfect for the holidays. Whether you use black and orange hair bands for Halloween or red and green hair bands for Christmas, the possibilities are endless! Begin by pulling the hair into a high ponytail, and secure with an elastic. Take a small section of hair, and wrap it around the ponytail to cover the elastic. Secure with a bobby pin. Separate the ponytail into 2 equal sections. Start with the left section, and do a 3 strand braid. Remember to add a colored band everytime you cross the right section over. Repeat step 4 for the entire section of hair. Add a few more stitches at the bottom of the braid, and secure with an elastic. Take the right section of hair, and begin another 3 strand braid. TIP: When you cross the left side to the middle, pull through the colored bands. 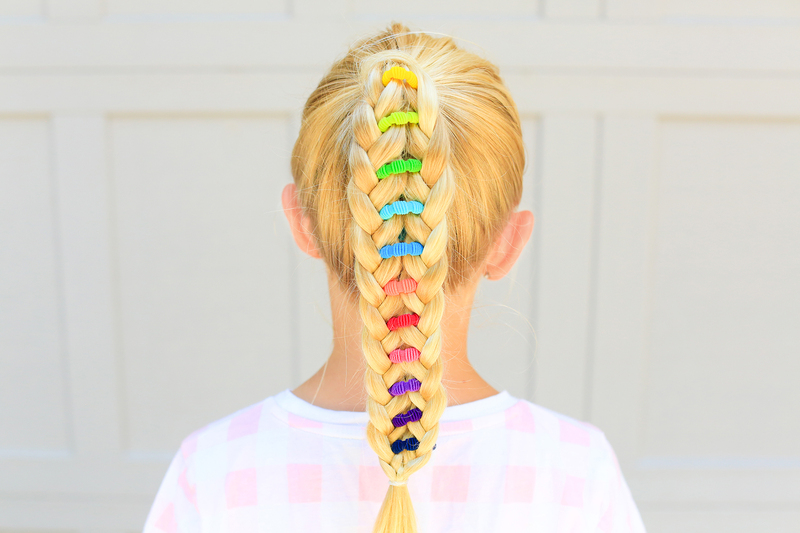 Use the elastic at the bottom of the left braid to secure both braids. Use a bobby pin to connect both braids on the backside to secure the hairstyle.